15 day Best of Italy tour with Trafalgar and including return international Emirates flights, airport transfers, daily breakfast, dedicated tour guide throughout, in-depth sightseeing, and more. Tick off iconic landmarks, see the ancient sites and indulge in mouth-watering cuisine with an unforgettable 15 day Best of Italy tour. 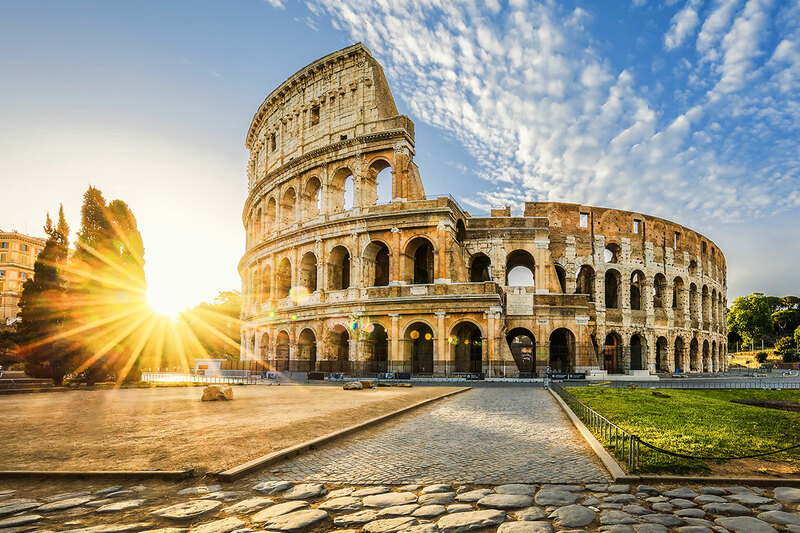 Get your fill of monument-hopping in Rome, where you take in the Eternal City’s most famous sights including Vatican City, the Colosseum and Spanish Steps. 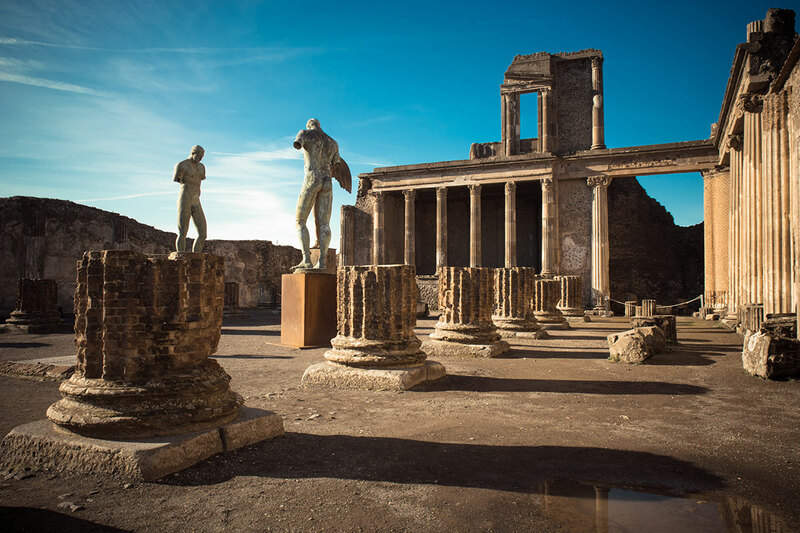 Travel to the preserved ruins of Pompeii to see the effects of Mount Vesuvius’ eruption in 79AD. Jump onto a ferry to cross the Bay of Naples and then explore the gorgeous Isle of Capri. 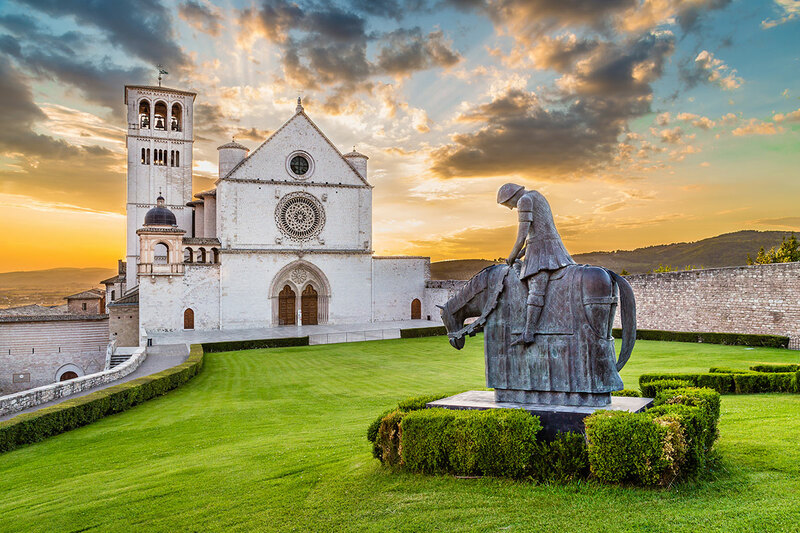 Visit Assisi in Umbria, a town perched on the slopes of Mount Subasio, and the birthplace of St. Francis. Also see the lavish Basilica of St. Francis and the Lion Fountain, located in the central piazza. 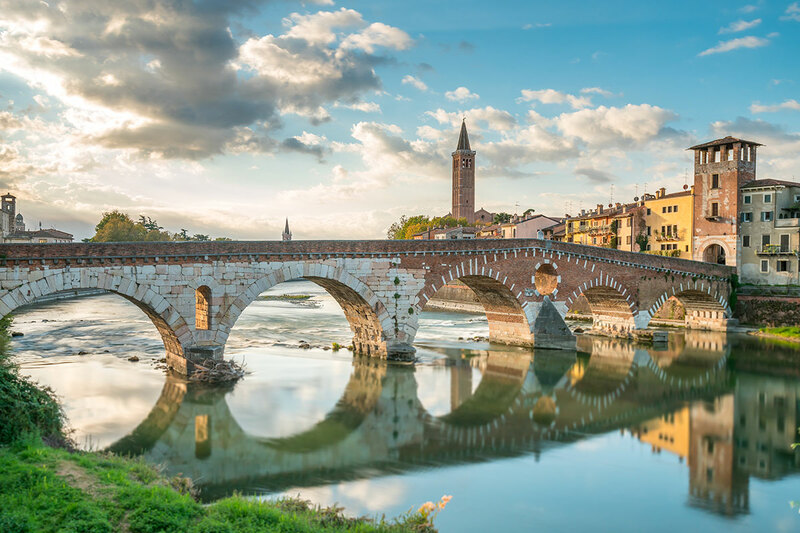 Feed your appetite for delectable Italian cuisine with the rich gastronomy in Emilia-Romagna, and then continue north to Verona – the home of the world’s most famous, and fictional, star-crossed lovers. Move to the watery labyrinth of Venice and discover the Bridge of Sighs and St. Mark’s Basilica. Fashion savants will love Milan, and fixes of spectacular scenery can be had at Lake Como and Lake Maggiore. Take an iconic photo with the Leaning Tower of Pisa, and then soak up the Tuscan sun as you roam the streets of Renaissance Florence and the beautiful hilltop town of San Gimignano. Get ready to experience la dolce vita as you depart for Italy. Ciao Roma! Arrive at Rome’s Leonard da Vinci-Fiumicino Airport (FCO) and be taken to your hotel by group transfer (please refer to the Fine Print section of this tour for important transfer details). Take some time to explore the hotel surrounds before joining fellow travellers and your Travel Director for a welcome reception. Your formal introduction to Imperial Rome begins that evening with an orientation drive around the city. The Holy See takes centre stage today as the tour joins up with a local guide for a sightseeing tour of the divine Vatican Museums. Gaze upon masterpieces from the likes of Bramante and Michelangelo, including the exquisite frescoed ceilings of the Sistine Chapel and the opulent adornment inside St. Peter’s Basilica. From the Vatican, venture across the Tiber into the heart of Ancient Rome. A visit to Circus Maximus and the looming Colosseum will have you imagining scenes of gladiators and chariot races. The afternoon is at your leisure. 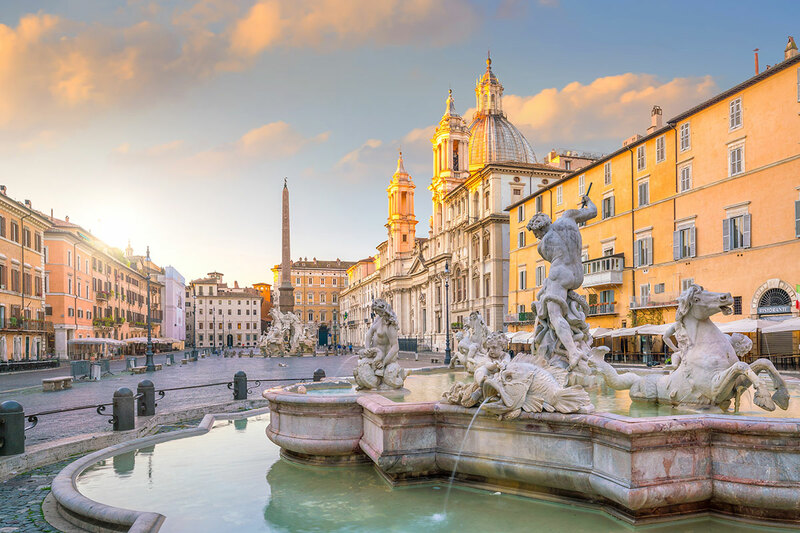 Sip on an espresso from a café at Piazza Navona, take a seat on the Spanish Steps, or wander through the colourful food market of Campo de’ Fiori. Optional Tour (additional cost applies): Piazzas and Fountains of Rome. This trip is led by a local guide and travellers are taken through the city’s narrow streets and beautiful public squares. A stop at the Trevi Fountain and the Pantheon are included. Additional cost applies. Optional Tour (additional cost applies): Roman Evening with Dinner. Spend a relaxed evening in Rome, enjoying traditional Roman fare with drinks and music. There is a post-dinner drive that offers insight into how native Romans make the most of their incredible hometown. Additional cost applies. From Rome there is a visit to the Commonwealth War Cemetery in Cassino, the final resting place for those involved in the Italian campaign of World War II. History buffs will also get kicks from seeing the Benedictine Abbey, the site of the Battle of Monte Cassino in 1944. The day’s third stop is Pompeii. A local guide leads the group into the past of this preserved site, and travellers have the chance to wander the city’s frozen-in-time streets. Arrive at the hotel in Sorrento, along the Amalfi Coast, for dinner. 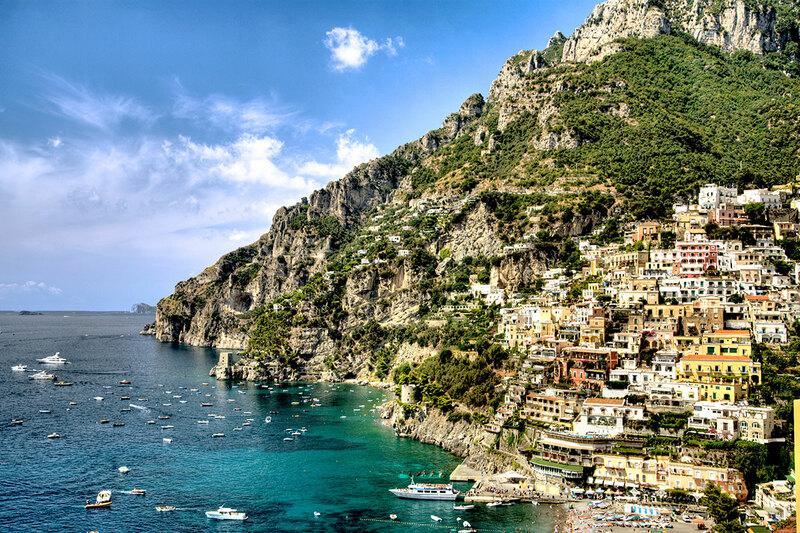 Optional Tour (additional cost applies): Amalfi Coast and Positano. A drive along the postcard-worthy Amalfi Coast. Included is a visit to the super photogenic town of Positano. Additional cost applies. 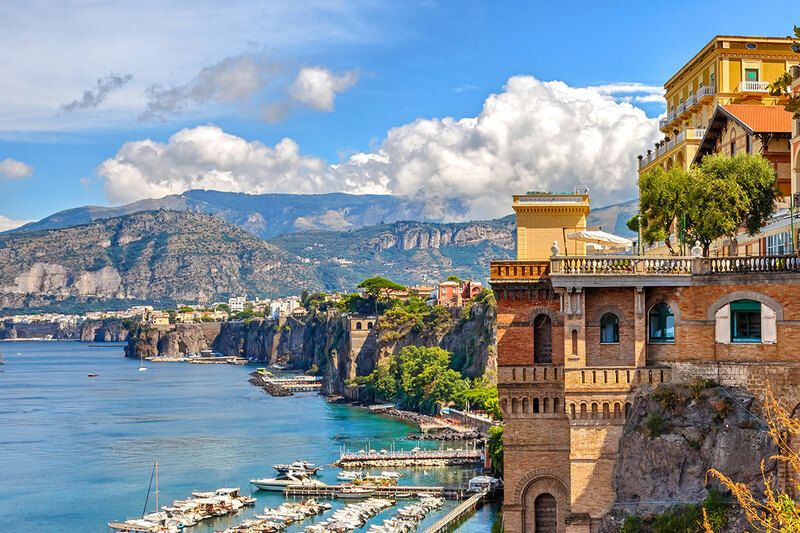 Cross the Bay of Naples by ferry to the glamourous Isle of Capri. The first activity is a tour of Capri Town by a local guide. Travellers are then free to explore this pretty isle at their leisure. The group returns to the mainland in the evening to learn about Sorrento’s inlaid woodwork art. Optional Tour (additional cost applies): Neapolitan Dinner and Dance. An evening that immerses travellers in Neapolitan tradition at a local family-run restaurant. Once the wining and dining finishes, there is a performance by local artists to demonstrate the famous Tarantella dance. Optional Tour (additional cost applies): Discover The Isle Of Capri. Experience the isle’s spectacular cliffs, stunning turquoise waters and White Grotto by boat. In Capri town, savour a lemon granita – one of the island’s specialties. If the weather isn’t ideal, an alternative excursion is a tour of Anacapri and a trip to Villa San Michele. Optional Tour (additional cost applies): A scenic drive through the Sorrentino countryside to an 18th century olive oil mill. There is a guided visit of the gardens, mill and wine cellar, followed by a simple meal of traditional pizza and wine. There is also a chance to see how mozzarella is made. Move north away from the Amalfi Coast into Umbria. 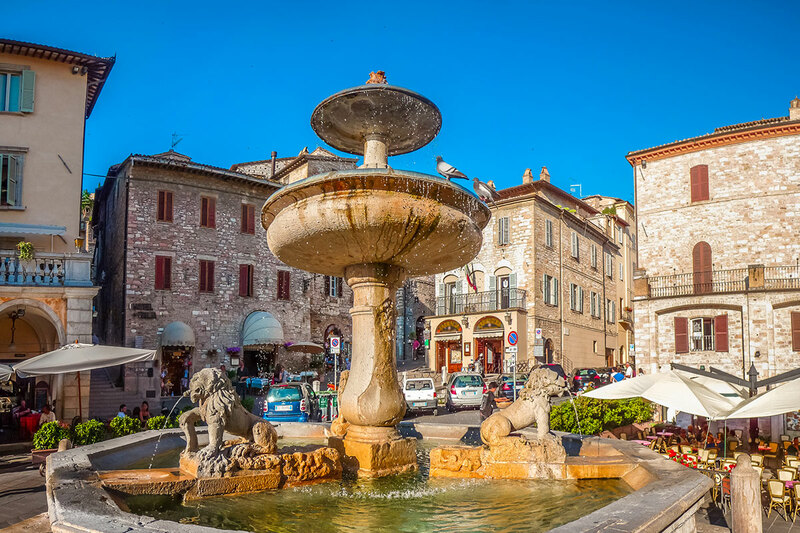 Arrive at Assisi, a town perched on the slopes of Mount Subasio. This small hamlet was the birthplace of St. Francis; legend has it that the town remains under his protection to this day. A local guide leads a walking tour along the cobblestone streets to Basilica St. Francis for a visit. The rest of the afternoon is leisure. Choose to see the remains of Rome’s influence in the area at Santa Maria Sopra Minerva, or head to the central piazza to see the Lion Fountain. Keen shoppers can seek out the boutiques lining Corza Mazzini. This evening’s dinner is at the hotel. Continue moving north through Emilia-Romagna, a region known for its rich history and gastronomic clout. Some of the region’s most beloved fare includes tortellini, mortadella and Parmigiano-Reggiano. Make a pitstop in Verona, the home of Shakespeare’s star-crossed lovers, Romeo and Juliet. Admire Juliet’s Balcony and the Roman Arena. The tour then heads to Venice. Optional Tour (additional cost applies): Gondolas and the Grand Canal. 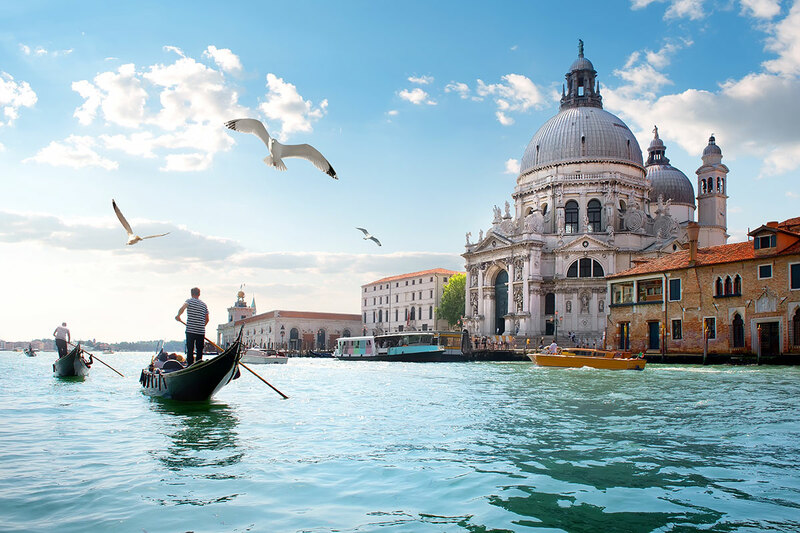 A scenic cruise by private water taxi along Venice’s celebrated Grand Canal. Admire the resplendent palazzi and catch a glimpse of the Rialto Bridge and St. Mark’s Square. Afterwards, float along the canals on a graceful gondola; one of Venice’s most iconic methods of transportation. A private launch ferries the group around Venice’s warren of twisting and turning canals. Watch talented artisans use centuries-old traditions to blow glass on the island of Giudecca, and then move to the realm of St. Mark to marvel at the sprawling square and the Basilica. A meander past the opulent Doge’s Palace and the Bridge of Sighs is also included in your discovery of the city. The afternoon is at leisure. A trip is Burano is a popular choice for travellers, or you might hole up in a cosy bacaro to sample local Venetian treats. Optional Tour (additional cost applies): Venice’s Secrets and St. Mark’s Basilica. Explore the hidden alleyways that most visitors to Venice don’t get to see, as a local guide takes the group beyond the usual tourist track. Along the way, learn about Venice’s past as a major shipping port and its current status as one of Italy’s most famous cities. Visit the incredible St. Mark’s Basilica and see some of the treasure trophies once looted by past generations of Venetians. 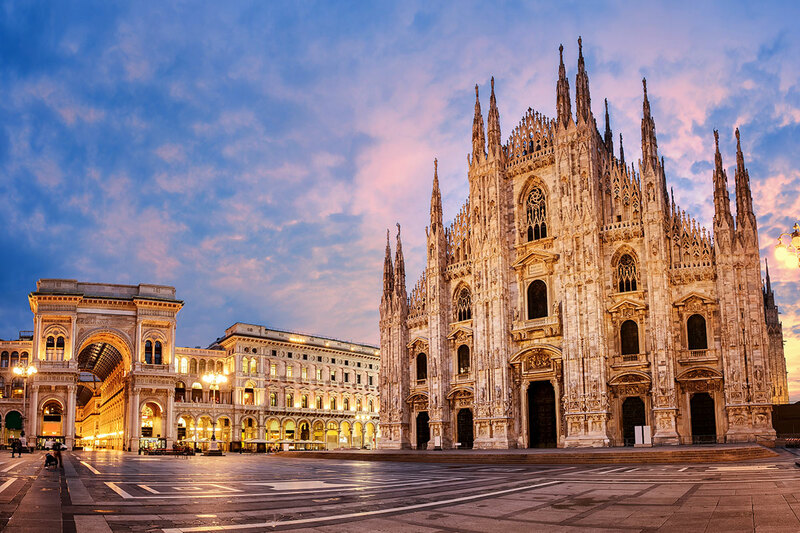 Today, cross the verdant plains of Lombardy towards Italy’s fashion capital, Milan. An orientation tour introduces the city; the intricate Gothic Duomo, La Scala opera house, the Galleria. Dinner is served at the hotel. Optional Tour (additional cost applies): Treasures Of Milan. Meet a local guide at the Castello Sforza Museum to see Michelangelo’s ‘Pieta of Rondanini’ and other great works. The tour finishes with a trip to La Scala opera house and museum. A visit to the Museum of Milan is the alternate activity if either the museum or La Scala are unavailable. The blue waters of Lake Como beckon. There is free time to enjoy the upmarket lakefront lifestyle of this area. Spend the day exploring the quaint towns throughout the region, stopping to savour a scoop or two of gelato. Ride in the funicular for a sweeping view. Tonight, travel by private boat to an island on Lake Maggiore for a Be My Guest dinner experience. Optional Tour (additional cost applies): Discover The Borromean Islands. A private launch takes travellers to the beautiful islands of Lake Maggiore. Among the isles is Isola Madre, Isola dei Pescatori and Isola Bella. The latter also includes a visit to the palace of the Borromean Princes (available during mid-March and end of October only). Available cost applies. 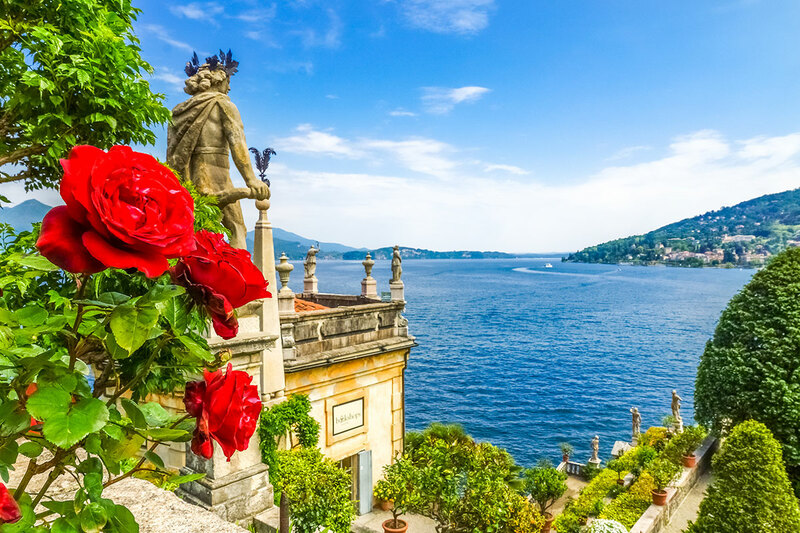 Optional Tour (additional cost applies): Discover Lake Como. 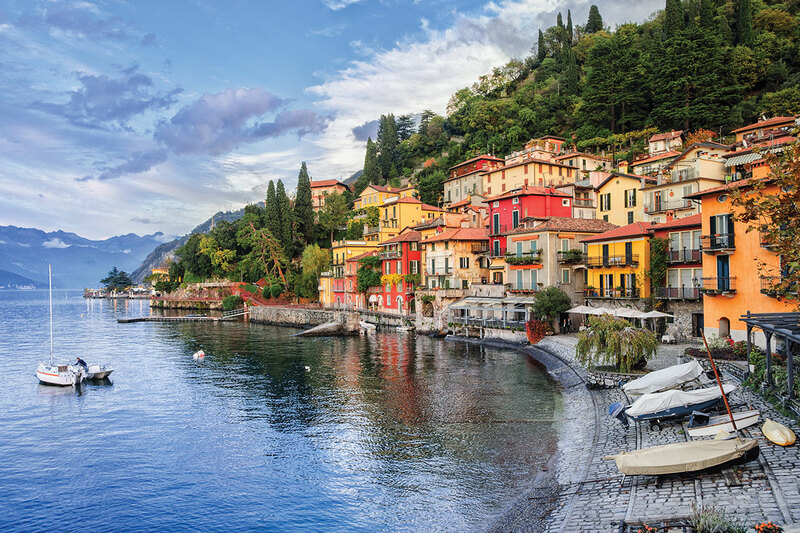 Journey to the picturesque banks of Lake Como and enjoy views of elegant villas and gardens with a cruise on the lake. This is led by a local guide. Additional cost applies. Move into Tuscan territory today. Pass through the forested Apennine Mountains and Genoa for a stop in Pisa. 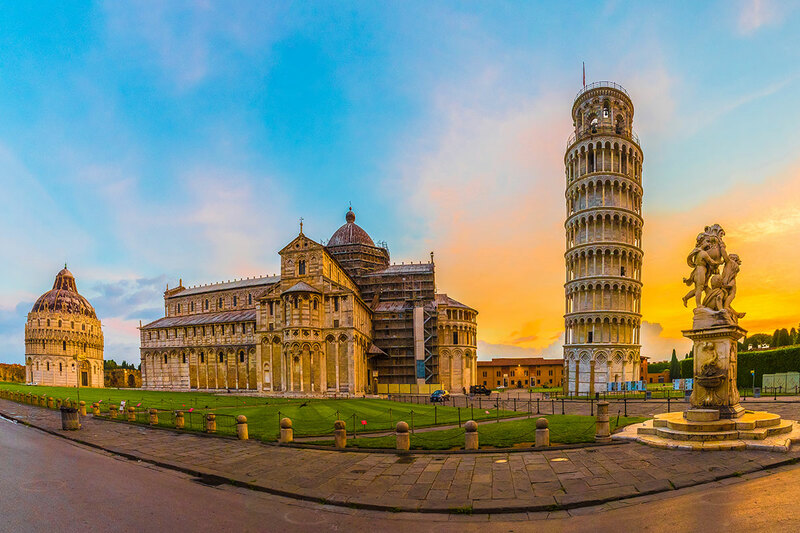 Have your pose at the ready to take a photograph with the city’s famous Leaning Tower, located in the paved Square of Miracles. It is then a short journey from Pisa to Florence, the birthplace and heart of the Renaissance. The evening is yours to begin your discovery of this magnificent city. Optional Tour (additional cost applies): Dinner, Wine And Music In The Tuscan Hills. A scenic trip through the Tuscan countryside, with a meal of regional favourites at a local restaurant. The meal is accompanied by wines and live music. Optional Tour (additional cost applies):Experience the magic of the Chianti hills, driving past vineyards and fields. This evening’s destination is the former stone house of Niccolo Machiavelli; the location where he wrote his breakthrough work, ‘The Prince’. A welcome drink and tour through the villa and its wine cellar follows. Then feast on fine Tuscan cuisine, accompanied by music, drinks, and Chianti made from the villa’s vines. Delve into a world of Medici legacy, world-shaping art movements and fascinating history in a guided tour of Florence. 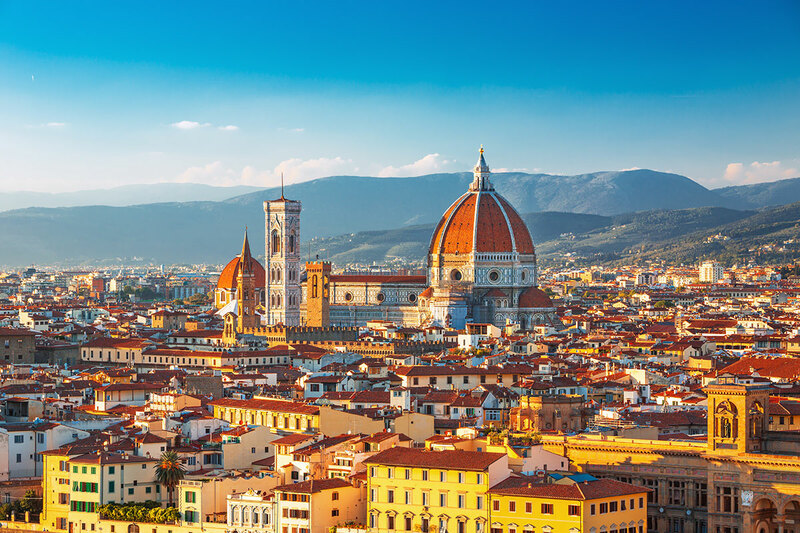 Gaze upwards to take in the elegant glory of the Duomo, make note of the statues scattered around the different Piazzi, look into the windows of the jewellers lining Ponte Vecchio, and soak in the amazing outlook of Florence’s skyline from Piazzale Michelangelo. Sweet tooths will want to sample the rich hot chocolate for which Florence is renowned. Also learn about two of the city’s most important industries – leather and gold – in demonstrations. The rest of the afternoon is leisure. Optional Tour (additional cost applies): Michelangelo’s ‘David’ & Accademia. A visit to this world-class museum and its incredible collection, the most famous piece of which is Michelangelo’s ‘David’ statue. Additional cost applies. Depart Florence for San Gimignano, a gorgeous Tuscan town perched on a hill. Inside the town’s colourful walls are excellent examples of medieval architecture and history. Piazza del Duomo in the town centre is surrounded by thousand-year old towers, and the town’s encircling, 13th century walls offer multiple vantage points for taking in the countryscape. It is then onto Rome for this evening’s farewell dinner.